$37.813 million on 3646 screens. With 2010’s Prince of Persia: The Sands of Time, a prospective new franchise failed to get off the ground. Though intended to be the first in a series, Sands mustered a mere $90 million in the US. 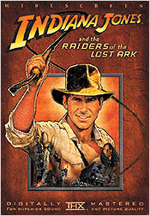 That’s not a terrible figure, but for a summer “tent pole” flick with a roughly $200 million budget, it provided a terrible disappointment for its producers. Maybe they’ll pursue another entry in the franchise anyway, but that seems hard to imagine. Based on the long-running videogame series, Sands comes set in ancient Persia. A street urchin named Dastan (William Foster) shows courage so the Persian King Sharaman (Ronald Pickup) adopts him. As an adult (Jake Gyllenhaal), Dastan acts as part of a war party to attack the city of Alamut, a location that allegedly has been selling arms to Persia’s enemies. They win the battle and come away with two prizes: the lovely Princess Tamina (Gemma Arterton), intended to marry Prince Tus (Richard Coyle), and a magical dagger. It appears that power-hungry Tus gets Dastan to present Sharaman with a special cloak – one that ends up being tainted and that kills the monarch. Now king, Tus accuses his adopted brother of murder. This turns Dastan into an outlaw, and he escapes with a kidnapped Tamina in tow. This sets up a contentious relationship that becomes more complicated with Dastan discovers the dagger’s time-traveling powers. Tamina and Dastan set up a grudging partnership to right various wrongs. He wants to reveal Tus’s crimes, while she needs to keep the dagger safe from those who would exploit it. Would Sands exist without the success of the Pirates of the Caribbean flicks? Probably not. Granted, Sands was based on a videogame, while Pirates took its inspiration from a theme park attraction, but they both feel like they’ve been cut from the same cloth. Both connect to their roots in a loose manner, and use their sources as little more than an excuse for Big Old Action Romps. The first Pirates succeeded for a few reasons. It didn’t take itself too seriously, it paid homage to the pirate films of the past, and it had Johnny Depp. Sands gets the first part right but doesn’t match up with the other two. Not that I literally expected Sands to feature Depp, of course, but it could’ve used an actor who elevated the material in a similar way. It doesn’t. Granted, Gyllenhaal essentially fills the Orlando Bloom role here, so one could argue he’s not intended to take over Depp’s place. Nonetheless, it was the charm and quirkiness Depp brought to Pirates that helped make it so entertaining. Sands lacks anyone to perform the same feat. I suppose Alfred Molina – as a merchant who ends up helping the heroes – sort of falls into the same category, but the character doesn’t stand out as especially memorable. Molina’s a fine actor, but he doesn’t add much to the film; he seems to be on cruise control here and lacks the spark necessary to give the role a boost. Gyllenhaal seems miscast as Dastan. For one, it’s odd that an American plays a Persian who speaks in a British accent. Some folks were disenchanted with the casting of a white dude as a Persian anyway, but the accent just adds a weird twist. Couldn’t they have found a British white guy for the part? If Gyllenhaal mustered much charisma, I’d not mind, but like Molina, he seems generally disengaged throughout the movie. He looks great, but he just doesn’t feel right for this sort of role. While I think Gyllenhaal is a talented actor, he doesn’t fit into the action genre. He lacks the natural kick necessary to be an action hero, so the film loses verve due to his presence in the lead. Sands also suffers from director Mike Newell’s apparent infatuation with gimmicky visuals. As I mentioned earlier, the first Pirates worked partly because it didn’t feel like a self-conscious attempt to update the pirate genre. It boasted a good sense of genre that reflected earlier efforts and felt “classic”. On the other hand, Sands lacks that tone, especially during action scenes. Newell prefers lots of quick cuts and slow-motion. These tend to rob action sequences of their intended punch. Rather than seem vibrant, they come across as frenetic and disjointed. With so many battles, the movie should’ve provided a lot of excitement, but Newell’s visual and editing choices blunt the intended impact. Sands could overcome one or two of its flaws, but not all of them. Even with those problems, I can’t claim that it ever becomes a genuinely bad film. It does, however, seem consistently lackluster, and it fails to deliver a memorable experience. Prince of Persia: The Sands of Time appears in an aspect ratio of approximately 2.40:1 on this Blu-ray Disc. Though not flawless, the image satisfied. Sharpness usually seemed excellent. While a few shots came across as a smidgen soft, those instances remained minor and rare. I noticed no jagged edges or moiré effects, and edge haloes failed to appear. Source flaws also didn’t become a factor in this clean presentation. As one might expect from a film set in the desert, the flick tended toward a sandy palette. Occasionally, I saw more dynamic colors, but most of the movie concentrated on earthy tones. These looked quite good, as the image fleshed them out appropriately. Blacks were deep and full, but shadows could be slightly dense; a few low-light shots came across as a little too dark. None of the complaints I mustered made a substantial impact, though, as the movie usually looked great. I also felt pleased with the DTS-HD MA 5.1 soundtrack of Sands. From start to finish, it displayed a lively soundscape. The movie engaged all five speakers on a consistent basis, though they best came to life during the many action films. Battles filled the speakers, and supernatural elements boasted good kick as well. All of these sequences displayed strong blending and placement as they used the channels in a satisfying way. For the most part, audio quality was also good. I felt that speech occasionally came across as too metallic, but the lines remained clear and intelligible; they just weren’t quite as natural as I’d like. The score seemed rich and full, and effects offered strong impact. Those elements came across as crisp and vibrant throughout the movie; bass response was tight and deep. Really, only the inconsistent quality of the dialogue bothered me at all, as the vast majority of the track was very pleasing. In terms of extras, the main feature comes from The Sands of Time. This provides branching content as you watch the movie. While the film plays, you’re supposed to press “enter” for information about the production. Happily, an “Index” option also appears, so you’re not forced to play pushy-pushy with the remote for two-plus hours. That’s the path I chose to watch the material. 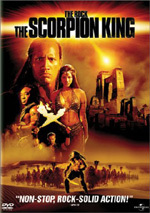 “Sands of Time” includes comments from producer Jerry Bruckheimer, executive producers Chad Oman, Eric McLeod and Patrick McCormick, first AD (Morocco) Noureddine Aberdine, technical advisor Harry Humphries, director Mike Newell, fight coordinator Ben Cooke, stunt coordinator George Aguilar, property master David Balfour, supervising art director (Morocco) Jonathan McKinstry, supervising art director (UK) Gary Freeman, set decorator Elli Griff, supervising location manager Alexander Michael William Sharp, construction manager (Morocco) John Maher, parkour choreographer David Belle, visual effects supervisor Tom Wood, Double Negative VFX supervisor Michael Ellis, videogame creator Jordan Mechner, screenwriters Doug Miro and Carlo Bernard, supervising stand-by propman Bradley Torbett, armorer Richard Hooper, ostrich trainers Jennifer Henderson and Bill Rivers, stunt coordinator Stephen Pope, costume designer Penny Rose, stunt double Mark Fichera, senior special effects technician Graham Povey, fight coordinator Thomas DuPont, animal coordinator Gill Raddings, UK construction manager Brian Neighbor, Framestore visual effects supervisor Kevin Jenkins, Framestore lead effects artist Alex Rothwell, Double Negative 3D lead Eugenie Von Tunzelmann, and actors Jake Gyllenhaal, Alfred Molina, Gemma Arterton, Toby Kebbell, Reese Ritchie, Richard Coyle, Gísli Örn Garðarsson, Ben Kingsley, Claudio Pacifico, David Pope, Domonkos Pardanyi, and Steve Toussaint. When added together, the “Sands” components run a total of one hour, 18 minutes, 43 seconds. We learn about sets and locations, actor training and extras, cast and performances, stunts and action, production design and various effects, props, makeup, hair and costumes, adapting the videogame, working with animals, and a few other production areas. No one will mistake “Sands” for a hard-hitting, frank examination of the film, but it covers the production pretty well. Yeah, it goes with a lot of happy talk, and the fluffy tone gets a little old at times. Nonetheless, the level of content remains pretty good, and I like the breadth of the information, as “Sands” touches on most of the appropriate topics. Though the interface can be a bit awkward – I’d love a “View All” option – “Sands” still adds a lot of useful material. The disc includes one Deleted Scene. “The Banquet: Garsiv Presents Heads” lasts one minute, 26 seconds and takes place during the banquet to celebrate the victory over Alamut. It adds nothing to the story and seems rather gruesome for a “PG-13” flick aimed at a pretty general audience. A few ads open the disc. We get clips for Tron Legacy and Toy Story 3. These also appear under Sneak Peeks along with promos for The Sorcerer’s Apprentice, A Christmas Carol (2009), Fantasia/Fantasia 2000, The Lion King and Beverly Hills Chihuahua 2. No trailer for Sands pops up here. 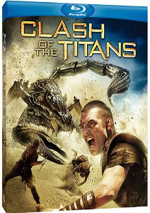 A second disc offers a DVD Copy of Sands. This offers the same single-DVD version available on store shelves, so it comes with a few extras. If you want to own Sands but aren’t yet Blu-ray capable, it’s a good bonus. 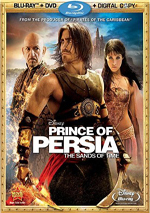 Intended to launch a new franchise, instead Prince of Persia: The Sands of Time sputtered at the box office. I suspect much of this stemmed from the movie’s inherent mediocrity. While it was never a true dud, it also failed to do much to make itself dynamic or engaging. The Blu-ray offers very good picture and audio along with a nice interactive feature. I have no complaints about this solid release, but the movie itself remains forgettable.